The holidays are a wonderful time at Disneyland, and this year the imagineers have really outdone themselves. In particular, It’s a Small World is worth checking out. 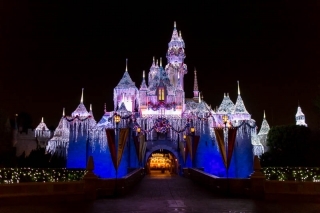 The exterior is lit up beautifully, and every 15 minutes it lights up with a projected holiday light show.